Everyone loves the look of a retro clock, but sometimes a vintage flip mechanism simply won’t do. To enjoy the classic appeal of a retro clock but with a modern twist, look no further than the Karlsson Boxed Flip Clock Large - Steel! 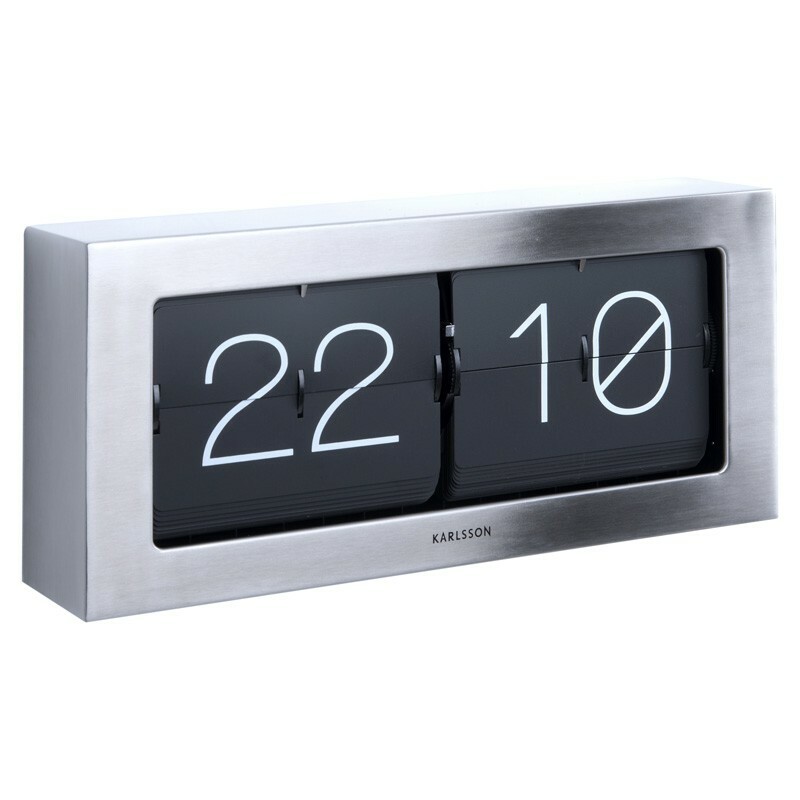 This modern designer flip clock features a reliable, up-to-the-minute timekeeping mechanism encased in a robust and lasting brushed steel rectangular frame that gives it a contemporary feel. This freestanding wall clock makes a refined focal point when placed above a mantelpiece, a shelf, a dresser or a table, rounding off your modern décor at home or at the office. It also makes a splendid wall clock thanks to the slot conveniently placed at the back. Featuring a 24-hour display with Arabic numerals in bright white that contrast with the black split panels, the unit bears the Karlsson logotype in black at the bottom. Need a new clock but can’t make up your mind? Don’t flip for it; the Karlsson flip clock ticks all the right boxes! See the other Karlsson Flip Clocks on the right hand side of the page!